The Virginia Woolf Basqueskola “Thinking About Politics. 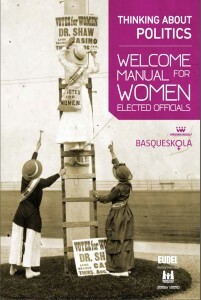 Welcome Manual for Women Elected Officials” was recently published by the Association of Basque municipalities (EUDEL) and the Basque Institute for Women (Emakunde). It is a tool to help women taking up elected office for the first time carry out their role as local elected officials. It also provides insights into the challenges women elected officials face and is a reminder that they are not alone. Getting elected is not the end of the obstacles women politicians face. There are underlying gender structures and norms that influence decision-making and hinder equal participation in politics. In order to overcome them, they must first be identified. The division of tasks in the political sphere remains gendered; women officeholders’ responsibilities are still strongly linked to their reproductive instead of productive role in society. This overlap of gender roles from the private sphere can be seen in the policy areas and projects women elected officials are oftentimes responsible for. For example, they are frequently in charge of social affairs, culture, equality, etc. and are less represented in decision-making related to urban planning and finance. This has a direct impact on the proportion of women managing and allocating resources, and consequently, reflects the unbalanced distribution of political power. Women elected officials find themselves in a space that has been modelled after the needs and preferences of men; it is androcentric and based on a patriarchal social model that presents the masculine as “universal”, and by implication, “superior”. Therefore, women elected officials are subject to additional pressure to fit into the existing model instead of having the necessary space to govern as they see fit and in a way that reflects their values and priorities. Another formidable challenge women politicians face once in office is the “illusion of equality”, or, the belief that equality has already been achieved, which renders real inequalities less visible. There is an “assumption that everyone has the same possibilities of accessing resources” and that success depends solely on an individual’s abilities and that these are “not limited by context” or structural factors. Additionally, women and men elected officials are confronted with the unreasonable expectation of 24/7 availability. The “Welcome Manual” calls for a new way of scheduling political activity so that a better work-life balance can be ensured for both female and male politicians. While more women are taking up elected office than ever before, in Spain they remain concentrated at the level of municipal councillors and are not as well-represented at higher levels, such as the Mayor’s Office. “In the Basque Country, just 25.5% of municipalities have a mayor who is a woman. This is in contrast to the 41,3% of women in Basque Country who are members of a municipal council. Individuals run for local elected office because they wish to make their municipality or region a better place. They are elected based on their values and their priorities for action. Women face deeply entrenched “male habits and way[s] of doing things” and need role models and mentoring from women who already have experience holding elected office. Identifying common strategic interests with other women elected officials. Common goals can lead to new way of policy-making. The “Welcome Manual” is a tool to facilitate women´s empowerment in their role as elected leaders and presents a three-level process of empowerment. It begins with individual awareness-raising about the particular challenges women face as elected representatives and proceeds to collective awareness-raising and the need to unify around common strategic interests. 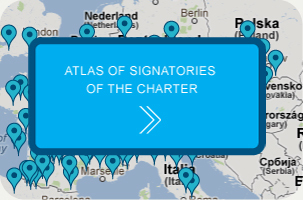 The final step in the process is TRANSFORMATION of the social model, through which change can be achieved “that goes beyond individual situations and improves the position of all women engaged in local politics”. This guide is a starting point for thinking about politics in a new light and understanding the role women elected officials play in establishing greater equality in society.